Last week we got 2 pairs of Skechers Hot Lights shoes in the mail for our sons to try out! 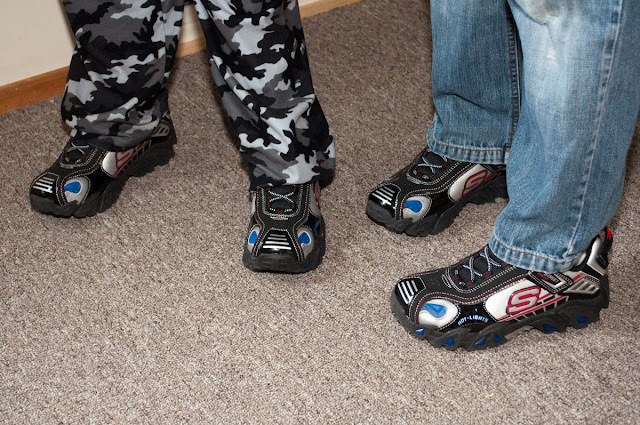 Skechers Canada has released a new line of kids’ products that are bound to excite your family. The Skechers Twinkle Toes line features sequins, lights, and colorful tattoo designs. When it comes to the boys, there is the Skechers Hot Lights line - these sporty sneakers feature smooth leather, synthetic and metallic mesh fabric, zigzag straps, and flashy lights. Tune up his racing style with the SKECHERS Hot Lights: Manifold shoe. Leather and synthetic upper in a street racing car themed light up casual sneaker with bungee laced front, top strap and printed car detail. Our boys were quite excited to hear they were going to get these shoes. They liked the lights and the car theme of the shoes. There was much angst as they had to actually WAIT for the shoes to come in the mail. Both the boys received the same shoes, the Hot Lights Manifold. 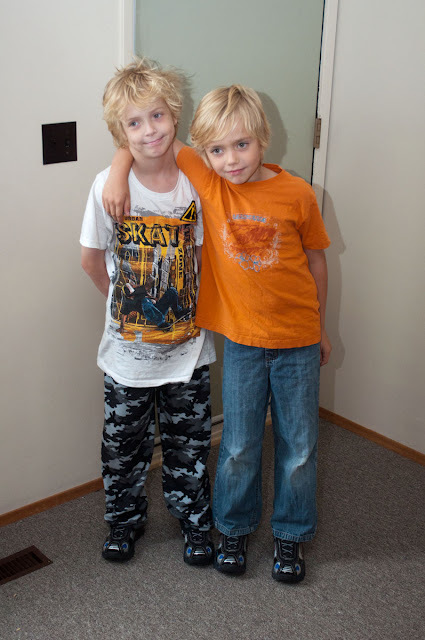 One decided to make the shoes his outside shoes, and the other decided to make them his inside school shoes. 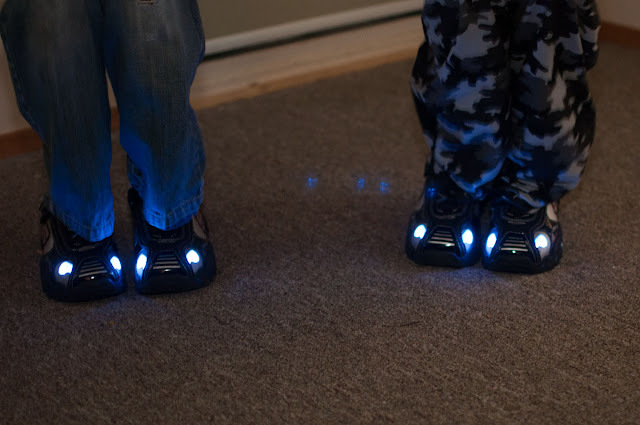 According to Aiden (age 9) and Owen (almost 8) the fact that they light up is definitely the coolest part of the shoes. The shoes seem to be well made. They are easy for the kids to get on and off. The kids are still quite excited about how they look. So what can you say? The kids seem to like how they look, are excited to wear them, they work and they’re well made, that’s pretty much all you can ask a shoe to do for your kids.